Typically, restaurants prepare barbecue in large brick or metal ovens designed specifically for roasting meat. While these ovens may produce tender, juicy BBQ, the drawback is that they are extremely expensive and have relatively low capacity. This equipment also requires meat to be roasted for longer periods of time, tying up ovens and requiring more wait time for customers. 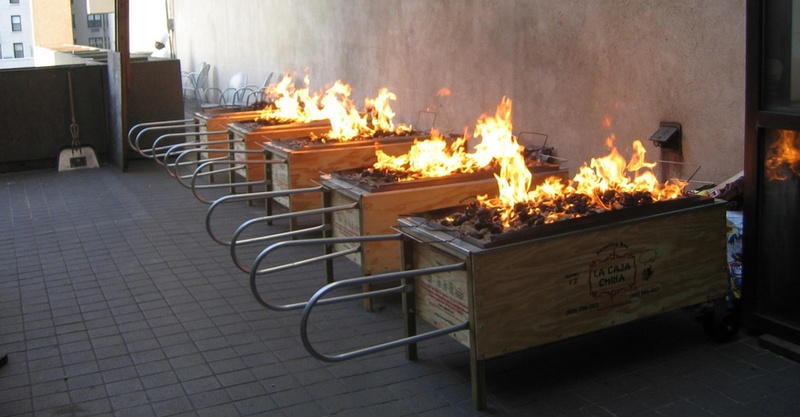 A La Caja China roasting box is the perfect solution for restaurants that wish to offer enticing BBQ without the wait. A La Caja China box offers enormous capacity. It can cook a 100 pound pig in four hours. This large capacity means that restaurants can prepare more food in less space with less time, translating to better wait times and higher quality for customers. The roaster’s capacity also allows chefs to prepare varying types of food at once. If the cooking times are the same, then restaurant chefs can use the same box to prepare different meats, such as whole chicken and ribs. Creative chefs are also using La Caja China to prepare pork shoulder, duck, lamb, and turkey. Due to its versatility, La Caja China allows restaurant owners and chefs to offer creative combinations without forcing restaurant goers to wait longer or choose from limited options. La Caja China gives cooks the freedom to design a BBQ menu that responds to their customers’ tastes. La Caja China also requires little maintenance. This means that it’s easy to clean and also that it rarely requires repair. The simple design functions effectively for a lifetime. There is no need to perform expensive maintenance procedures and does not require specialized repair technicians, as opposed to many commercial ovens.